Do you work in childcare? Do you want to expand your knowledge? Childcare Expo is an early years show not to be missed by nursery workers and others in the childcare industry. Our exhibition has been specially designed to help professionals develop their business and fill you with ideas for your own learning environment. Childcare Expo is the best show in early years for those wanting to keep in the loop with the most advanced teaching techniques and information about child development. It is an exhibition filled to the brim with engaging seminars, hands-on workshops, as well as one of the biggest suppliers’ fairs in the industry. The event is held at three different locations across the country so, no matter where you are, you won’t have to miss out on the biggest early years show. The first Childcare Expo early years show in 2017 will take place in March at the Olympia Central in Kensington. For childcare experts based in the country’s capital, this is a fantastic opportunity to learn more about the sector and get a first look at some of the latest product releases. 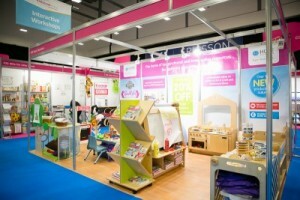 Click here to find out more about our childcare show in London. In June 2017, Childcare Expo will be heading to Manchester to share its information with early years professionals in the North West. Guests can expect the same great choice of interactive workshops and seminars, as well as a multitude of stalls for you to browse in between. If you are a Manchester based nursery executive or childcare expert, learn more about the show here. The last stop for the 2017 instalment of our early years show will be held at the Ericsson Exhibition Hall in Coventry, West Midland. When you get a moment between workshops and seminars, make sure you take the chance to meet some of the other childcare experts. If you are interested in the Midlands leg of the Childcare Expo tour, find out more here. To help you develop your knowledge and skills in childcare, we put on two days of seminars at Childcare Expo. Each seminar is 45-minutes long and discusses some of the biggest issues in childcare at the moment. We find some of the most enthusiastic and motivational speakers in the industry to present the session and answer any questions you may have. With every seminar you attend, you will be awarded with an electronic CPD certificate to show that you have completed the class. As there is a whole host of seminars to choose from, you can choose the sessions that are most applicable to your area of childcare. Once you have broadened your knowledge in our seminars, put this information into practice in our early years workshops. Each one of our early years shows features a large number of workshops that will fill you with new and innovative teaching and caring methods. The workshops have been designed to be interactive; to get you involved and get your creative juices flowing. They combine education with play to keep you and your class engaged as the children learn and develop their social skills. When you attend our shows in early years, you can enter our one-off competitions to be in with a chance of winning a selection of highly enviable prizes. Winners will be gifted with VIP offers for some of the leading suppliers in the industry. In addition to the multiple seminars and workshops that will be taking place at our early years show, you can expect to see a range of exciting stalls. There will be an array of childcare and nursery suppliers and exhibitors showcasing thousands of new products and learning resources for you to try out for yourself. From stationery and books to toys and classroom furniture, you will find everything you need to fully equip your childcare setting. Why come to our early years exhibition? We have hundreds of childcare professionals attending our early years shows every year, including guests, exhibitors, and child development specialists. This gives you plenty of opportunities to meet with other people in the industry and create connections that may be valuable in the future. The relaxed atmosphere creates a friendly and sociable environment for you to exchange ideas and receive personalised advice from some of the best names in the sector. Childcare Expo is the one early years show where you can try before you buy. If there is a product used in a workshop that you feel would engage your class, or help children in their development, you can find it in our fair. Our exhibitors will be happy to talk to you about their new stock and how you can use the items to their full potential. You will also be eligible to a great selection of exclusive discounts that you will not find elsewhere. There is no other event in the childcare calendar that will offer you the same information and resources at a better price than Childcare Expo. It is completely free to register your attendance to our early years show, including free entry to the exhibition and workshops. The only additional charges will be for seminar tickets, should you choose to attend one, which are priced at just £15 in advance. If you have any questions regarding our early years show, do not hesitate to give us a call on 01425 838393 or send an email to [email protected]. Alternatively, click here to register for free tickets to your nearest Childcare Expo event.